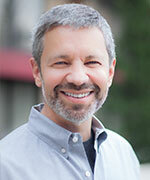 As Director of Theology and Training, Jeff is dean of our Pastors College, leads pastoral and theological training for Sovereign Grace Churches, and is responsible to see that ordination standards and testing are in place to serve Regional Ordination Committees. He also works with the Theology Committee in developing our Statement of Faith and develops resources through writing and publication to equip people both in and outside of Sovereign Grace. Jeff is the editor of Bible Doctrine, an abridgment of Wayne Grudem’s Systematic Theology, and contributed a chapter to Worldliness: Resisting the Seduction of a Fallen World. He serves on the board of The Council on Biblical Manhood and Womanhood. In addition to his role with Sovereign Grace Churches, Jeff serves as an elder at Sovereign Grace Church of Louisville. Jeff lives in Louisville, Kentucky with his wife, Julie, and their two sons, Samuel and Benjamin.